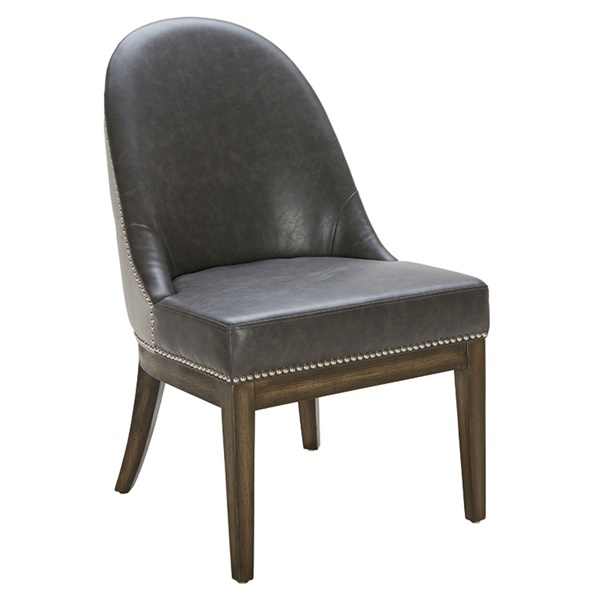 The Liana Dining Chair draws you in with its cultured design and subtle accents. The sweeping contours of the seat back are inviting and produce a wonderful sitting experience that cradles the body. The beautiful bonded leather seat adds to the comfort and style of the chair and offers a perfect contrast to the silver linen fabric on the back of the chair. To top it off, the Liana Dining Chair is finished with a distressed wood frame and legs to round out the utter sophistication that emanates from this chair.